Adventure is a bundle of Lightroom presets compatible with both mobile and desktop versions of the app. The presets have been specially optimized for enhancing outdoor landscape photos. It comes with 11 Lightroom presets and a CameraRaw action file for Photoshop. This bundle comes with 9 creative filter effects that will allow you to add a stylish Moscow-inspired look to your landscape travel photos. The presets in this pack can also be easily customized to fit different light settings and they are compatible with desktop and mobile Lightroom as well. If you’re a fan of nature photography this bundle of Lightroom presets will come in handy. It includes 11 premium presets that will help improve your nature and landscape photos by adjusting contrast and making the colors pop. Garden is a collection of Lightroom presets optimized to improve outdoor portrait and landscape photos. It comes with 11 presets that you can adjust to your preference for making your photos look more professional. This is a bundle of 50 Lightroom presets featuring winter-themed effects. These presets will help improve your photos taken in cold and winter settings, especially ones taken in low light conditions. A great way to attract more potential buyers to a house on sale is to make the photos look great on your website. The landscape Lightroom presets in this pack are specially designed for improving real estate photos. 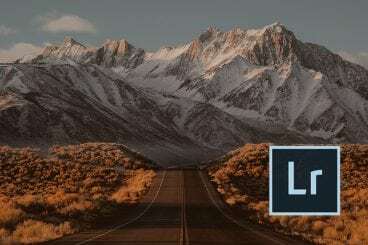 A massive bundle of 100 creative Lightroom presets for optimizing your landscape photos. This pack comes with various styles of filters and effects for enhancing nature and outdoor photos. The presets are compatible with Lightroom 4 and higher. This is a must-have Lightroom presets bundle for travel photographers and Instagram bloggers. It includes 11 stylish filter that makes your travel photos look one of a kind. The presets are fully customizable and comes with Photoshop action version as well. This is a set of 2 Lightroom presets that feature effects and optimizations inspired by the beautiful city, Dubai. The presets have been crafted by a professional designer and can be easily customized to your preference. Add a bright and beautiful warm glow to your outdoor photos using this pack of Lightroom presets. It comes with 11 unique presets that are compatible with Lightroom desktop and mobile apps. A Photoshop CameraRaw action file is also included.